A show built off life, love, and coffee. 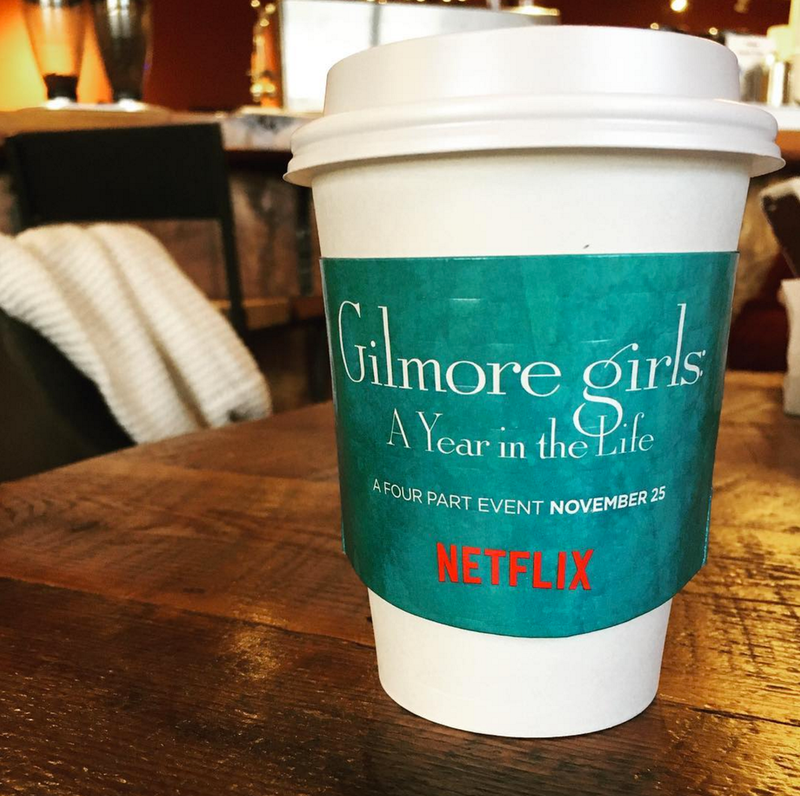 Gilmore Girls may have first aired on October 5th, 2000 but it is still alive and well today. Just recently every Gilmore Girls fan fulfilled their life long dream of being in the Gilmore Girls world. As a celebration of the 16th anniversary of the first airing, and an exciting momentum to the upcoming revival, Netflix transformed coffee shops around the country into Luke's Diner. 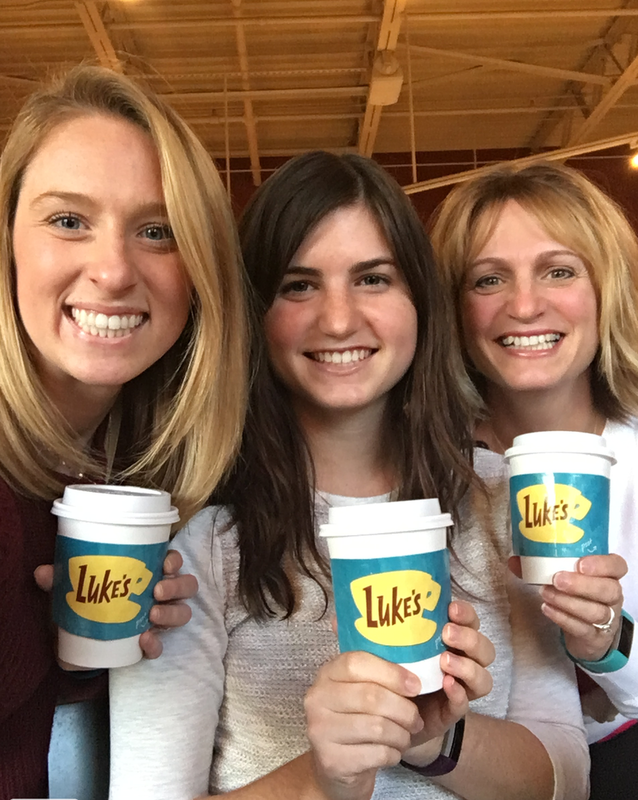 At Luke's, fans were able to get a free cup of coffee on Netflix, equipped with a special Luke's sleeve and a quote from Lorelai Gilmore on the cup. Seen below is my very own because of course I had to go. The experience was almost completely show like with the baristas wearing Luke's Diner aprons and hats. Fans across the country came out and the event held by Netflix was a complete success. Some say it was one of the greatest marketing ideas there are, but I think it is a little more than that. Yes, Netflix, you were brilliant by bringing our show to life and it surely did get Gilmore Girls going in conversations everywhere. 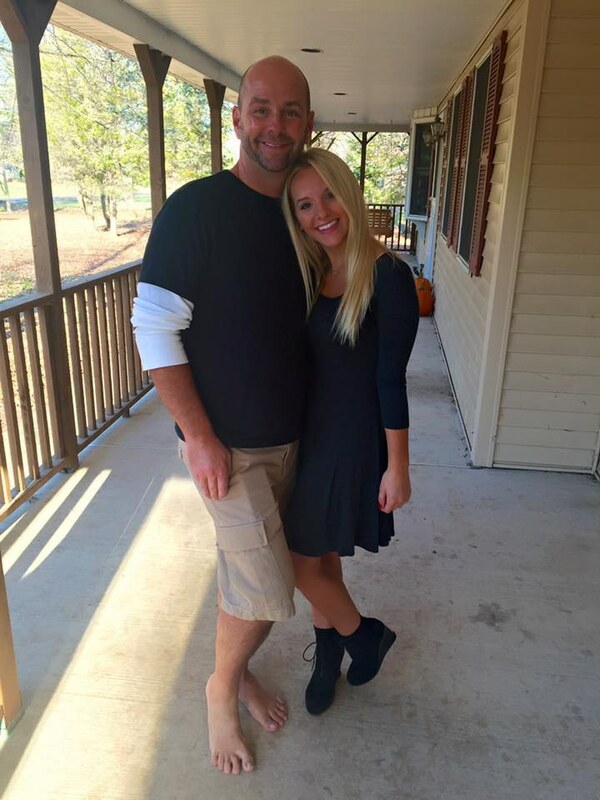 I am almost positive ratings will be off the charts when the revival comes out on November 25th. But there's more to the story here; and that is the loyal fans and why they dedicate themselves to such a show and all that entails. Gilmore Girls is more than just a television show that had a good run on air with seven seasons. It isn't just a show, it is an experience. Gilmore Girls was able to capture its audience by being an incredibly relatable show with a just as good story line to follow. From episode to episode, the plot was relatable and something that could very well happen in any viewer's life. The characters were 'normal' people and it was a show about what life truly is about, family, friends, education, money, jobs, struggle, etc. We watched the characters develop and get older from season to season and for each one we built a bond. This show wasn't only relatable, it was something that people wanted to be a part of. Let's face it, Stars Hollow sounds like the utmost perfect town to be in and every viewer definitely wants to go there, if not reside there. This show built relationships with people, it was a part of them just like any thing else in life. It wasn't just something to watch for entertainment, but it was something to take advice from, learn from, and grow from. I'm pretty sure every life lesson in the book was covered by the end of season 7, but in such a realistic, delicate way that put it on the same level as the viewers. 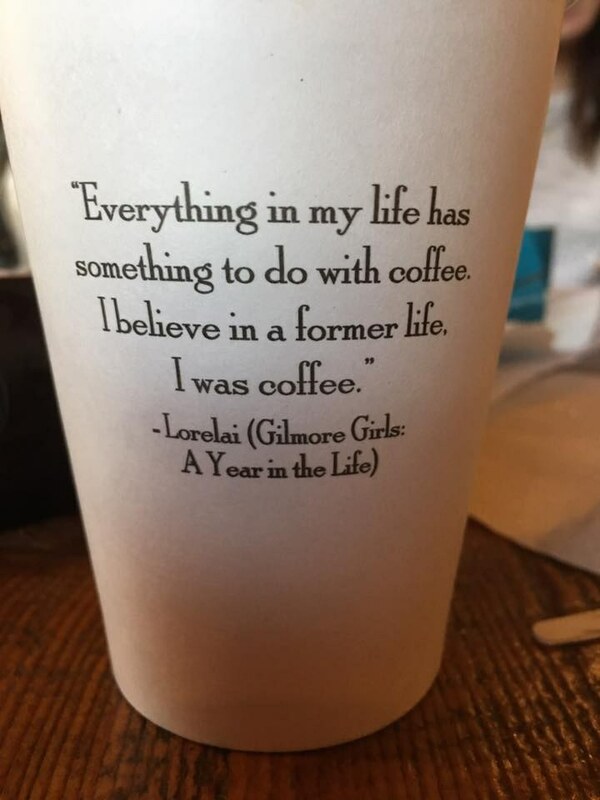 Fans of Gilmore Girls aren't just fans because it was good entertainment, they're fans because they are a part of the show. They feel as if they belong and are one of the characters in it. Who hasn't pictured themselves being best friends with Rory or wanting to work along side Sookie and Lorelai on an occasion? In just seven seasons of this show, a fan base that is existential was created. It is like no other because their is a true presence of love in this crowd. Some may say that being a fan to the point where you drive to a coffee shop just because its a reenactment of something from the show is crazy. But to me, it really isn't that much. This show not only made me connected to its characters and story, but it made me connect with others outside of it. Gilmore Girls is a show to watch with your family, or a friend. It brings you together as you watch it and there is just this nostalgia about it that I cannot quite describe. I can say that I and all the other fans cannot wait for the revival to appear on Netflix. Gilmore Girls is a show like no other and will always have its fans behind it. Netflix, my hat off to you in bringing back this show and the community that comes along with it.